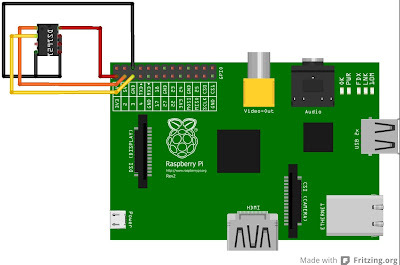 After you have the setup ready, attach the DS1621 sensor to your RPi as shown in the schematic below. Add the following line at the end of the file and save it. This will load the i2c-dev kernel module at boot up. Observe that DS1621's address shows up - it means it was detected successfully. local sched = require "sched"
If I'm guessing right you didn't use any pull up resistor because rpi provides internally. I'm designing an application that requires all 8 sensors (allowed via addresses) to be used. What would be the case then. Would it require additional resistors or perhaps external power? Actually I did use pullup resistors, sorry for missing that out... I had a breakout board with DS1621 on it with 4.7Kilo ohms pullups (to 3.3V) on SCL and SDA. 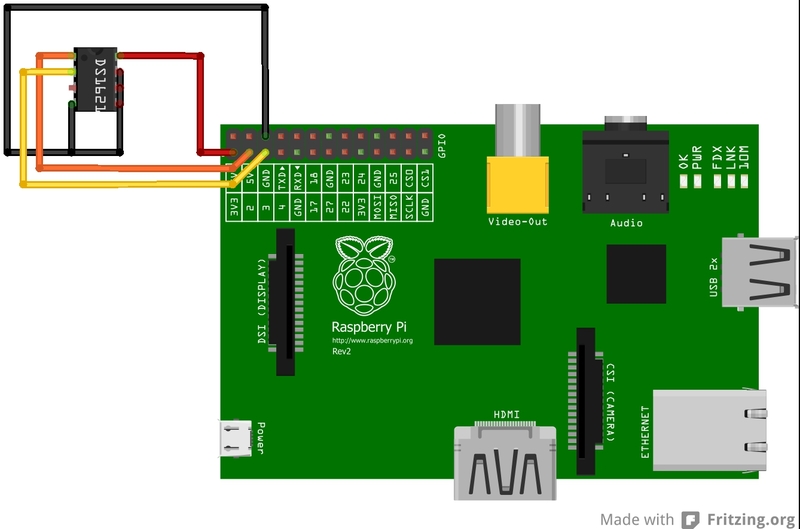 BUT yes, RPi already has 1.8K pullups, so you don't need to supply them externally. DS1621 will work without it too.